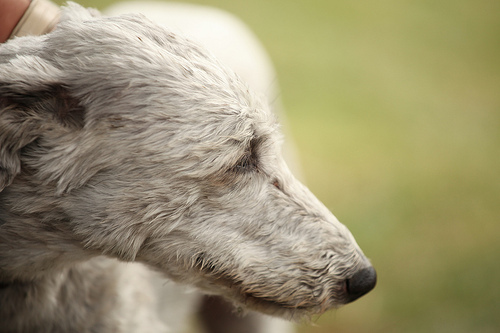 You may have noticed that lurchers are crossbreeds between a greyhound and another breed. Because of this, they may have varying dietary needs or require a change in dietary practices to ensure that they’re getting the right nutrition while also keeping their body health in balance. More or less, a lurcher’s best kind of diet is one that is complete and balanced. Lurchers had once been known as poaching dogs, and they were renowned for their athleticism. Because of this, one should keep in mind that active dog diets that are complete in their ingredients can be beneficial for your lurcher.Consider one of these dog foods below to help ensure your lurcher’s health is maintained properly, ensuring a long and happy life for your best companion. The Wellness brand is well known for its grain-free recipes while ensuring that their dog food provides a balanced nutritional profile. Your lurcher is a larger dog, and often times, they can be more energetic than even a pure greyhound. So, a dog food that’s meant for large breed not only helps supply that energy, but it also provides your lurcher with the muscle-building nutrition to keep it in good shape for years to come. Wellness designs their food to help optimize nutrition absorption as well as promoting good joint health and digestive health, which is key for lurchers because of their body structure. With their body structure, they have smaller digestive systems that require smaller portions but also may react different to different foods. So, any foods that promote digestive health are good for your lurcher. But also, joint health is important for lurchers as they put a lot of support on their skinner legs. Their lean bodies may help, but food that helps promote joint health will go a long way. 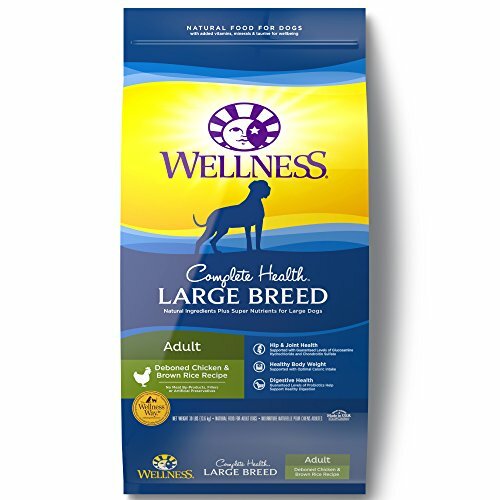 So, if you need a complete food that promotes your lurcher’s health in all the right places, strongly consider the Wellness Complete Health Natural Dry Large Breed Dog Food—one of the best dog foods for lurchers period. Iams has had a long history of making dog food. They have since been upgrading their recipes so that their dog food contains real meat as their #1 ingredient. 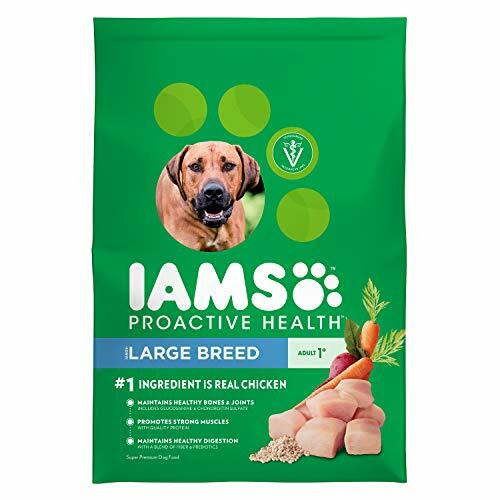 In Iams Proactive Health Large Breed, chicken is the number one ingredient, ensuring that your lurcher gets the protein he or she needs for proper muscle growth. And the chicken is all US farm-raised, meaning you won’t have to worry about where your ingredients come from. What’s more, this dog food is fortified to promote a healthy coat thanks to Omega-6 fatty acids and strong bones with calcium and minerals. This particular formula also promotes joint health, with glucosamine and chondroitin added into the formula, which is important for your lurcher. Other ingredients include some vegetables such as peas, carrots, and tomatoes, along with vitamin supplements to ensure that your lurcher’s immune system remains in tiptop shape. This Iams formula also aids in your lurcher’s metabolism with L-carnitine, which also acts to help aid in burning fat. Altogether, this particular Iams formula is designed to keep your lurcher fit and health for many years to come. This is also one of the more economical choices of this list, so no matter your wallet situation, you’ll be able to ensure that your lurcher has the proper nutrition to keep him or her healthy and happy. 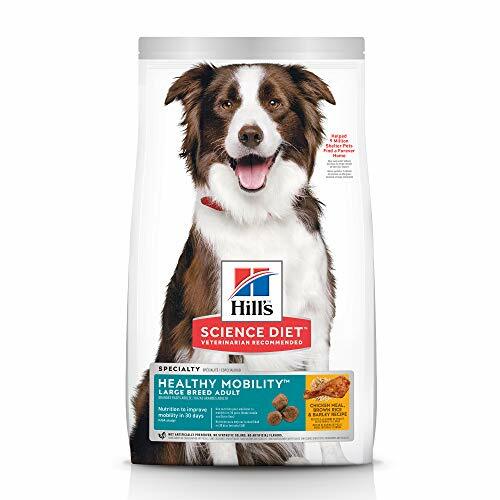 Hill’s Science Diet has been a favorite of veterinarians all around, and for good reason. With veterinary science behind this dog food’s formulation, you can rest easy knowing that your dog is getting the proper nutrition and the right nutrients and minerals to ensure good health and longevity. This particular formula is designed to promote good joint health, which is important for lurchers. This dog food is fortified with glucosamine and chondroitin to help promote joint and cartilage health for your lurcher. It comes with chicken as its number one ingredient, ensuring that your lurcher gets the protein it needs for maintaining muscle. Fish oil is added to help your lurcher’s coat remain smooth and healthy. And best of all, there are no artificial colors, flavors, or preservatives. With scientific minds behind this dog food, you’ll know that everything in this bag is directed to your dog’s health, both present and further down the road. But this is especially important for lurchers since joint and bone problems can be an issue. This is without doubt one of the best dog foods for lurchers for the money. It’s important to think not just of your lurcher’s health today but also further down the road. Lurchers are prone to joint problems, particularly hip dysplasia. This is an inherited condition, and it occurs when the ball and socket of their hip joints have trouble fitting together. Another issue that can arise is osteo-arthritis, which can be just as uncomfortable or painful. That’s why it is important to ensure that your lurcher’s joint health is maintained throughout their lives. It may not cancel out the chances due to certain issues being hereditary, but any chance to give your four-legged best friend a better life should not be discounted. With the proper nutrition and the right measures taken to ensure that their health is maintained, your lurcher can live a long and happy life, having many years of joy to spend with you.